What is the difference between Acetal and Plexi? There are no differences between POM (Acetal, commercial brand name Delrin) and acrylic glass (Plexi) top in regards to cooling performance. 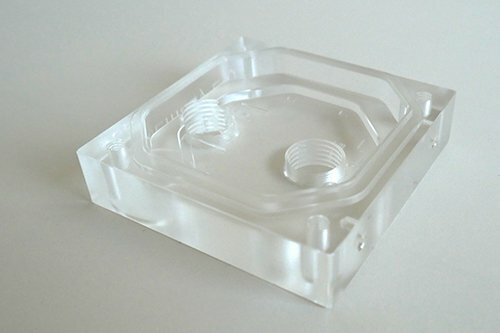 Acrylic is translucent and thus allows the visual inspection of the internals of the water block and also allows colored coolants to be seen in the cooling channels. Also, acrylic glass can be damaged beyond repair when alcohol or acetone is applied to the surface while POM (Acetal) offers higher chemical wear resistance. POM Acetal is softer than acrylic and its impact strength is higher than that of the Plexi. Plexi (acrylic glass) is more brittle and is more prone to cracking when mistreated than Acetal. Can you make me a custom water block? 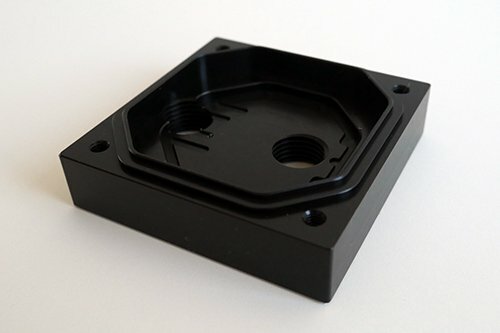 What is a Full Cover (EK-FC) water block?